Truth to be told, I was sleeping when Miss Universe 2015 was happening. I got occupied by a freelance work the night before the pageant's airing. I worked from night until dawn. I finished the work with some tradeoff. My arms felt like I had sand bags tied around. The prolonged typing almost kept my entire arms so numb. I felt so lightheaded. I slept the entire day, woke up around 5 pm. I checked my Facebook account and my newsfeed was flooded with nothing but news from the recently concluded Miss Universe 2015. As I was checking my friends' status messages, I learned one of probably the craziest mistakes done in the entire world history. A few days after, the Filipino public's attention was focused to MISS USA and MISS BULGARIA. Thanks to the evening replay at Star World. I got to see everything, only that the replay was a little edited. :) It was initially Miss USA who caught my attention. 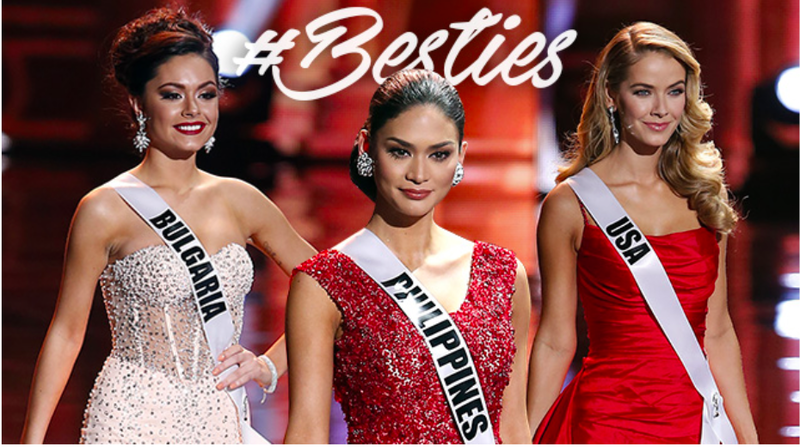 Yes I agree, Miss USA can pass as the "bestie" of the year. I love you Miss USA! 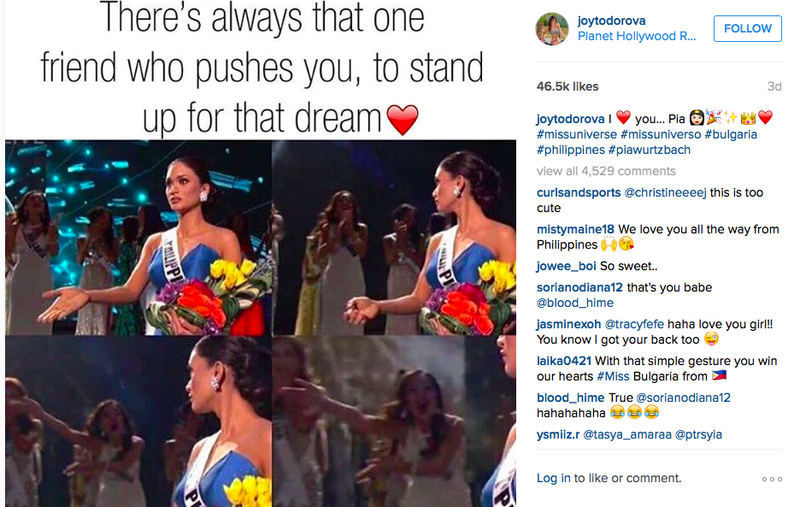 More than showing support to Miss Philippines, I discovered the memes and later, the instagram account of Miss USA. She has pre-pageant photos with Miss Philippines. I felt that she was really friends with Pia Wurtzbach even before the competition. 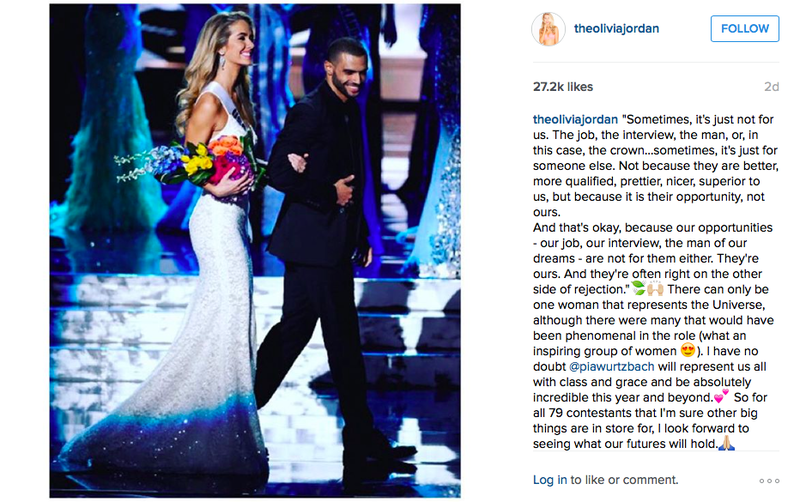 I followed Miss USA's Instagram account and I started to admire her more. I love Miss USA to bits and pieces! I will always remember this post. I also discovered the role of Miss Bulgaria, who is now very popular among the Filipino populace. Miss Bulgaria eventually discovered how and why the Filipinos love her so much. She posted the memes in her Instagram account as well. I had my doubts about Pia actually when she was crowned Binibining Pilipinas - Universe. But the girl knows what she wants and worked hard for it so I have to give her the credit for her current success. Napakagandang pay-off for everything that she went through to get the title. Miss USA is my peg for 2016!